In honor of O’Linda Cuffaro, The Oli Foundation raised an impressive $35 000 on September 24, 2017 at Plaza Volare, through an energetic charity bootcamp class. Funds raised will support brain cancer research at The Neuro. 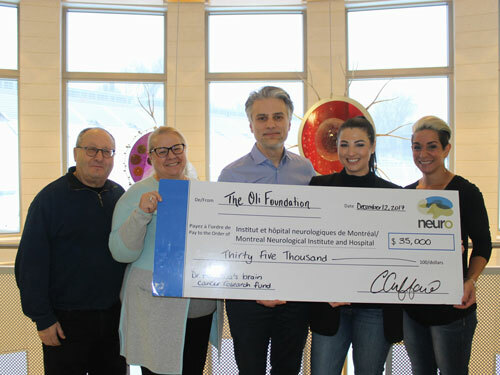 The Neuro was thrilled to recognize the generous contribution of $65,000 by the Morris & Bella Fainman Family Foundation to support the purchase of a Patient Transport Vehicle. The first of its kind in Quebec, this vehicle will allow our clinical team to more rapidly and efficiently transport non-critical patients through the MUHC network as they undergo off-site tests and treatments. This much-needed resource fills an urgent logistical gap, as patients previously needed to rely on an external service to transport them from one site to another which often resulted in canceled or delayed appointments. The addition of this vehicle, made possible by the Fainman Family, will go a long way towards alleviating the pressure and anxiety experienced by patients as they undergo the stressful hospitalization period. Many thanks to the Fainman Family for their very generous and meaningful support of The Neuro and its patients. The Neuro had the honour of welcoming representatives from Rio Tinto, including Chief Executive Alf Barrios, to celebrate the creation of the Rio Tinto Laboratory of NeuroEngineering. A $1 million donation to The Neuro’s Thinking Ahead Campaign provided the funding necessary to create this interdisciplinary laboratory focused on research into regenerative medicine and the development of novel strategies for the treatment of nervous system injury, which affects over 250,000 Canadians per year. The Neuro is deeply grateful to Rio Tinto for its instrumental support of this important research program which has the potential to significantly improve outcomes for patients recovering from damage to the central nervous system, including spinal cord and traumatic brain injuries. Gabrielle Arseneault, an administrative technician at The Neuro’s pain clinic, founded a humanitarian initiative called the Blessing Bag Movement. The Movement gathers daily essentials and distributes them to people in need in the Montreal area. 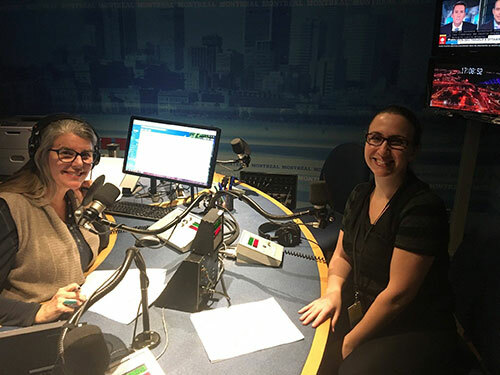 Gabrielle was recently a guest on CBC Radio’s Homerun to talk about her motivation to give back to the community. Support the Blessing Bag Movement and listen to the interview on Homerun.